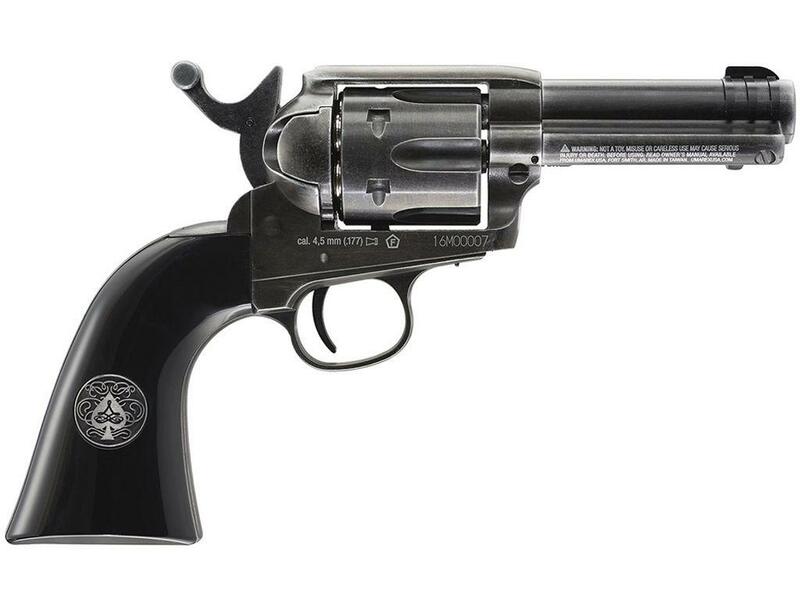 Legends Ace in the Hole Pellet Revolver | ReplicaAirguns.ca | Easter Weekend Sale! Comments: The Ace in the Hole has more than one trick up its sleeve. 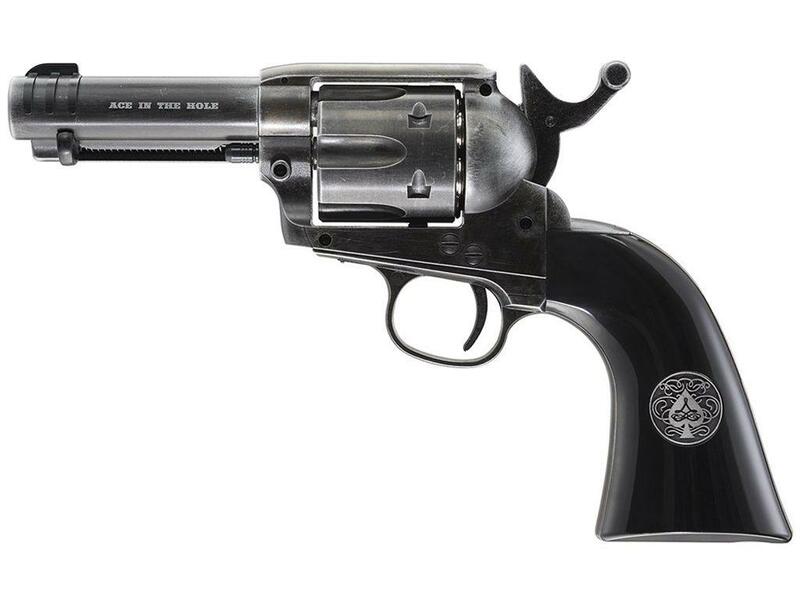 This CO2 pellet gun is an original take on the classic Single Action Army revolver. The oversized thumb spur allows you to fan the hammer with your palm, like a real gunslinger. Swap in the sight that works best for your aim, or remove it entirely and shoot from the hip. 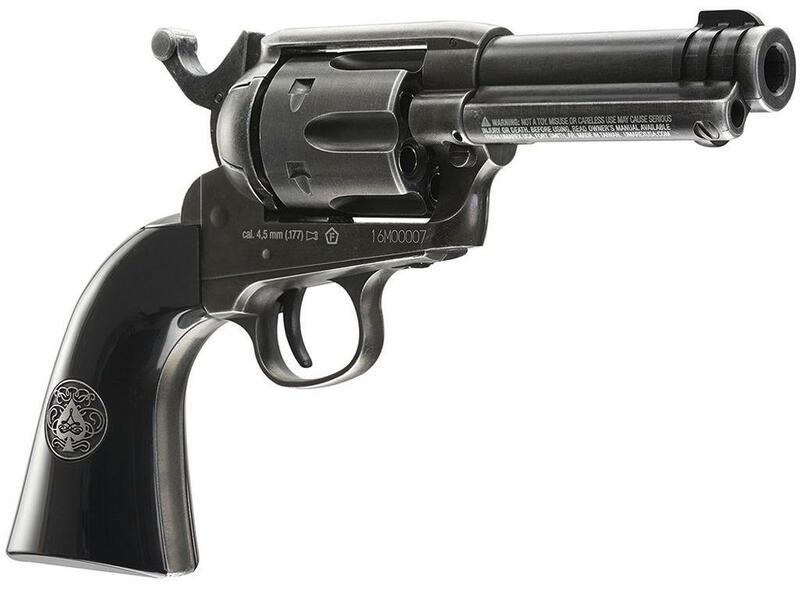 Awesome gun, I highly recommend it to any people who are not used to shooting, or are learning how to shoot a gun. 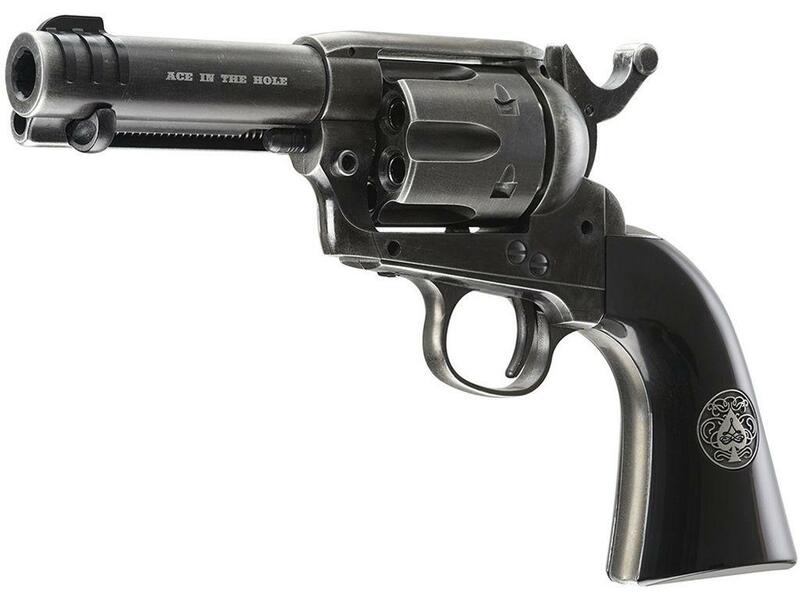 Very nice pellet revolver shot nicely worked well until just over 1 month of using when the hammer spring gave out and it would not shoot anymore and it was just over the warranty so i could not return loved it but very dissapointed and would no longer reccomend buying.